And in the thirty and eighth year of Asa king of Judah began Ahab the son of Omri to reign over Israel: and Ahab the son of Omri reigned over Israel in Samaria twenty and two years. And Ahab the son of Omri did that which was evil in the sight of YHWH above all that were before him (1 Kings 16:29-30). Now it came to pass in the third year of Hoshea son of Elah king of Israel, that Hezekiah the son of Ahaz king of Judah began to reign. Twenty and five years old was he when he began to reign; and he reigned twenty and nine years in Jerusalem: and his mother’s name was Abi the daughter of Zechariah. And he did that which was right in the eyes of YHWH, according to all that David his father had done (2 Kings 18:1-3). Most people understand history as “what happened in the past.” We all endured history class while in school; we learned about the rise and fall of successive world empires. We therefore ascertained very quickly that history seemed to be the story of those who gained the most power or made new things or developed this or that. The more prominent and successful a culture, defined by its consolidation of power, wealth, and influence, the more likely we would learn about them. But what happens when we approach the Scriptures? What history does it tell? We can compare and contrast the stories of two kings, Ahab and Hezekiah, in terms of how they are presented in Scripture and how they would be presented in a standard historical account. The portrayal of Ahab king of Israel in Scripture is less than pleasant. He was strongly influenced by his wife Jezebel; he elevated service to Baal in Israel; Elijah the prophet strongly opposed him. The Biblical assessment of Ahab is seen sharply in 1 Kings 16:29-30, as children are taught in Bible classes to this day: he was the most wicked of the kings of Israel. Yet, if seen in a socio-political perspective, things never seem better for Israel than in Ahab’s day. Ahab maintained control over Moab; he made an alliance with Jehoshaphat king of Judah; his marriage is an indication of a strong alliance with the Phoenicians. He seemed to preside over one of the most prosperous and stable periods in the history of the northern Kingdom. From Assyrian chronicles we learn that Ahab along with other allied kings fought against the Assyrian Shalmaneser III in the Battle of Qarqar and seemed to fight him to a draw; who else among the kings of Israel could make such a claim? Hezekiah king of Judah is portrayed in Scripture starkly different terms. He attempts to reform the worship and service of Judah toward greater faithfulness to YHWH; he is spoken of in terms of his father David, as seen in 2 Kings 18:1-3. After David only Hezekiah and Josiah are spoken of in glowing terms as kings in Judah in the Scriptures. And yet Hezekiah’s reign, in socio-political terms, was a complete disaster. He rebelled against the Assyrians and faced the full wrath of the Assyrian war machine. All of Hezekiah’s major cities were destroyed save Jerusalem, which itself was besieged and spared only by divine intervention. Judah’s condition was described well by Isaiah in Isaiah 1:2-9: Judah barely escaped total annihilation, and should not glory in its close call. We should certainly be able to see why so many modern historians view the Scriptures with cynicism and skepticism: they do not exactly tell the story the way the historians have told stories. We who seek to follow God would do well to consider, however, whether the problem is with the Scriptures or with the way the historians would like to tell the story. The historical narrative of 1 and 2 Kings is often claimed to be a heavily biased source writing during Israel’s exile. Without a doubt the final author is writing during the exile (cf. 2 Kings 25:27-30); he most assuredly uses court or other records more contemporary of the events described. And yes, he is heavily biased; we should expect nothing less. He has a particular message to tell, and a very particular reason for it. We today tend to speak of 1 and 2 Kings as part of the “historical books.” The Jews considered 1 and 2 Kings part of the Nevi’im, “the Prophets.” Most of the books we consider to be “historical” they believed to have been written by the “former prophets” (Joshua, Judges, 1-2 Samuel, 1-2 Kings). To the Israelites the way their story was told was itself inspired, the proper way to tell what happened in past days. They certainly could have told their story in a way a bit more amenable to the expectations of historians; many in Israel in fact told themselves that story. Israel had its heyday in past days; Assyria and Babylon proved too strong, and so Israel was overrun. What did Israel get for attempting to follow YHWH? Hezekiah reforms the worship and the Assyrians overrun the land; Josiah would do a similar act and his death would precipitate the chain of events leading to Judah’s doom. In fact, probably more Jewish people would have agreed with their fellow exiles in Egypt who were offering to the “Queen of Heaven,” believing that things were better when they committed idolatry, than those who were moved to repentance and followed YHWH exclusively (cf. Jeremiah 44:15-18). In the story of history, after all, empires rise and fall. Israel rose and fell. So be it. But that story, even though it seemed to make sense of some of the historical facts, only led to assimilation, first with the Babylonians and then later with the Greeks and Romans. Such people were carried away by whoever had power. But those who stubbornly held to the story of Israel as told by the former prophets put the story together persevered, and they persevered because they continued to tell the story the way God intended. Great socio-political standing and influence meant nothing if it were not accompanied by faithfulness to God; a dire socio-political situation could be overcome if the people proved faithful to God. The former prophets showed far less concern about the socio-economic implications of royal decisions than the spiritual ones. The story of Israel was told to highlight the people’s faithlessness to warn future generations to not follow in the same pattern of disobedience (cf. 1 Corinthians 10:1-12). We can learn much from the example of the historical prophets. History is never merely “what happened in the past.” No historian can tell the story of what happened in the past without providing an interpretation and a purpose to those events. They are all understood not only in terms of their believed conclusion but also in terms of the person telling the story. Even when a historical narrative is presented in an entirely factual way, plenty of other facts are left out, not out of denial, but because they do not fit the story being told. We should not despair; we need not fall into the abyss of full-throated postmodernism, denying our ability to know anything about the past. But we must also be disabused of any notion that history is simply a set of objectively true facts about what people did in the past. History is a great natural resource which we mine in order to tell the story of who we are, from where we have come, and to learn lessons from our ancestors for good or ill. The way we decide to tell that story is as important as the facts which may comprise it. We have inspired records of the history of Israel and the days of Jesus and the Apostles; we know how God intends for us to understand those stories. We can gain much from that perspective. We may not have an inspired story of the present, but God’s Word remains true: nations will rise and fall, people will acclaim those who gain power, wealth, and influence, but God remains far more concerned with whether people serve the King of kings and Lord of lords or not, and whether people continue to hold firm to the story which He has told in the pages of Scripture. May we tell history in a way that glorifies God and honors His purposes! Few of Jesus’ declarations have reverberated over time as His confession of the nature of His Kingdom in John 18:36. Few have also proven as contentious. Jesus had been betrayed by Judas into the hands of the religious authorities; they had already condemned Him to death as a blasphemer (John 18:1-27). Since they had no authority granted to execute Jesus, they brought Him before Pontius Pilate, Roman procurator of Judea, to issue the final condemnation (John 18:28-32). Pilate asked Jesus if He indeed was the King of the Jews based on what had been said of Him by the religious authorities (John 18:32-35). Jesus declared that His Kingdom was not of this world: His servants were not fighting to foment insurrection or rebellion so as to rescue Him, and such was sufficient evidence to show His Kingdom was not of this world (John 18:36). Jesus would go on to identify Himself as a King according to what Pilate himself had said; Pilate found no crime or guilt in Him (John 18:37-38). But what is Jesus really attempting to say to Pilate by this declaration? As is unfortunately the norm in Christianity, people have often gone to extremes. Some fervently expect Jesus to one day make the Kingdom be of this world, and so they emphasize the idea that His Kingdom is not “now” from here, presuming that at some point in the future that will change. Others so emphasize “not of this world” so that it becomes “entirely of another world,” as if His Kingdom has nothing at all to do with this world. In the contextual moment Jesus is attempting to “clear the air” about Him and His intentions. From the first century until now it has been all too easy to misunderstand Jesus’ purposes in His Kingdom and to conceptualize the Kingdom entirely in earthly terms. The Jews wanted to make Jesus their king; He escaped from them, for His Kingdom was not to be what they desired it to be (John 6:15). Christians were easily accused of sedition against Rome, declaring that Jesus was King, not Caesar (Acts 17:6-7); so both Paul and Peter strongly urge Christians to remain subject to all earthly authorities lest anyone get the wrong idea (Romans 13:1-7, 1 Peter 2:11-18). Thus, when Pilate heard that Jesus is being called the “King of the Jews,” he perceived Jesus to be a threat to the stability of Roman rule over Judea, because he is aware of the Jewish expectation that their God would send their Messiah who they imagined would liberate them from foreign pagan oppression and would re-establish a Jewish Davidic kingdom in Jerusalem. And so Jesus clarified before Pilate that His Kingdom is not of this world; it would not be an earthly kingdom vying for territory with a man on a throne in a capital. If it were, His servants would be fighting to make that happen. Such should be a strong warning to any who would imagine that Jesus’ only concern is one of timing and not substance. Jesus is not saying, “my Kingdom is not now of this world, but it will be at some undetermined point in the future”; the work God was accomplishing in Jesus powerfully demonstrated the error in Jewish expectations. Jesus was the King of the Jews, not just a more improved version of David, but as the One like a Son of Man who would soon be given an eternal dominion from the Ancient of Days (Daniel 7:13-14). The Kingdom He would inaugurate would strike in pieces all of the kingdoms who had come before (Daniel 2:43-45). God would give Jesus all authority in heaven and on earth, over all the powers, not merely over some acres of ground on earth (Matthew 28:18, Colossians 1:15-20). Jesus’ Kingdom is too much of a present reality and far too profound to restrict it to a future earthly hope (Colossians 1:12-20, Revelation 1:9). Yet it is not as if Jesus’ Kingdom has nothing to do with this world. Neither Pilate nor later Roman authorities were entirely wrong to raise an eyebrow at the claims made by Jesus and His later followers. If Jesus is Lord and Savior, then Caesar is not the ultimate authority. Christian claims of God giving authority to whom He will and of Jesus being over all the kings of the earth stand at variance with Caesar’s claims about himself. Even if Christians seek to honor and obey earthly authorities in all things, their loyalties and ultimate commitment lie in God in Christ and His Kingdom, not in Rome (Philippians 1:27, 3:20-21). Jesus’ Kingdom was not envisioned as an alien force; He reigns from heaven indeed but reigns over both heaven and earth, and all peoples and nations are subject to Him (Philippians 3:20-21, Revelation 5:12-14, 7:9-17). Just as Christians ought not imagine that Jesus’ Kingdom is merely awaiting its earthly manifestation, so they ought not imagine that the concerns of the Kingdom have nothing at all to do with the present world. Jesus’ Kingdom is neither earthly nor otherworldly; it is transcendent. Jesus is Lord of lords and King of kings; His Kingdom reigns above all other principalities and powers (Colossians 1:15-20, 2:11-17, Revelation 19:16). Jesus’ Kingdom absolutely crushed and shattered the empires of the world through God’s judgments upon them and the work of Christians within them proclaiming the Gospel and glorifying God. The Gospel of Jesus and His Kingdom undermines every tyrant and despotic tendency in government, for fear, shame, suffering, and death, the coercive tools of government, are made devoid of power in the life of the one who trusts in the crucified and risen Jesus (Matthew 10:28). Jesus will return one day and will raise our bodies to be like Himself (Philippians 3:20-21); this energizes all believers in Him to uphold the values of the Kingdom no matter what man may try to do to us. The flower of the glory of empire will fade and die; the word of God, the Gospel, will endure forever, as will those who faithfully participate in the Kingdom of God to the end (1 Corinthians 15:51-58, 1 Peter 1:23-25). Christians live in the world and do well to honor and obey earthly authorities. Yet we must demonstrate that our true affections and loyalty lie in the transcendent Kingdom of God in Christ. We must live as if we truly do eschew the extremes in understanding about the Kingdom. We must not foolishly believe, as so many do, that Jesus’ Kingdom will be established as an earthly Kingdom some day, or that through our efforts we can establish His Kingdom on earth. The Lord Himself considered such things as a fool’s errand; if He did not do so, who are we as His followers to imagine we can succeed where He “failed”? Thus we have no right to imagine that God’s Kingdom is manifest in any given country or any political platform or ideology therein; we likewise have no right to imagine that we will succeed in bringing the Kingdom to earth through benevolent action. At the same time, the Kingdom does have a word to speak to rulers and citizens and how we should live; we must not foolishly believe that Christians are to be so alien as to have nothing to say or do with those who live in the world. We are not given the right to “monasticize” ourselves, withdrawing from society entirely and/or put most of our efforts into creating some sort of Christian subculture. We must serve God in His Kingdom in the world, knowing that all of the kingdoms of the world will ultimately become the Kingdom of our Lord and Christ (Revelation 11:15), and that His transcendent Kingdom, while not of this world, powerfully reigns over it. May we serve the Lord Jesus in His Kingdom to His eternal glory and honor! I love thee, O YHWH, my strength. YHWH is my rock, and my fortress, and my deliverer / My God, my rock, in whom I will take refuge / My shield, and the horn of my salvation, my high tower. I will call upon YHWH, who is worthy to be praised / So shall I be saved from mine enemies (Psalm 18:1-3). It is easy to feel that repetition of themes can be boring. Why say the same thing over and over again in slightly different ways? Nevertheless, there is wisdom in setting aside such a question so as to get to the heart of the matter: why would it be necessary to emphasize a given theme over and over again? Perhaps we have much to learn from it. The Psalms are saturated with primary themes. YHWH is our Creator; YHWH shows covenant loyalty (Hebrew hesed, translated “steadfast love” and “lovingkindness”) to Israel; and, as in Psalm 18:1-3, YHWH is Israel’s refuge, worthy of praise, Deliverer from enemies. These premises are brought up time and time again in song after song, prayer after prayer. They do not represent repetition for repetition’s sake. Instead, the Psalmist never wants these themes to depart from our subconscious. In their constant repetition we begin to recognize that YHWH is our Creator, shows covenant loyalty, and should serve as our refuge almost reflexively. In that repetition these themes reform and re-shape our thoughts, our perspectives, and thus our feelings and actions, as God had intended from the beginning. The superscription of Psalm 18 declares how David wrote it after God delivered him from his enemies, including Saul. It would be easy for David to have despaired of his life in 1 Samuel 19:1-26:25: Saul pursued him viciously, and he still had to deal with Israel’s historic enemies, not least the Philistines. David would eventually seemingly go over to the Philistines, took refuge in Ziklag, and appeared to be a model vassal while in reality destroying Israelite enemies who were Philistine allies (1 Samuel 27:1-30:31). According to human logic and worldly standards the situation was dire and nearly impossible. If David would have trusted in his own strength all would have been lost. Yet, as he proclaimed in Psalm 18:1-3, he did not trust in himself, nor his arms, nor his men, but in YHWH. He loved YHWH (Psalm 18:1). YHWH was his rock, fortress, deliverer, refuge, shield, horn of salvation, and high tower, all potent metaphors for permanence, strength, and defense (Psalm 18:2). David will call upon YHWH and put his trust in Him; YHWH is worthy of praise; only in YHWH will David find rescue from his enemies around him (Psalm 18:3). David would continue on praising God for his rescue and deliverance (Psalm 18:4-49). David was not at all confused about the means by which he succeeded and prospered despite all odds. It was not about him; YHWH rescued him and delivered him. Therefore, David would continually call on YHWH for aid and refuge. Throughout its history Israel would be tempted to look for strength and refuge in other places. At times they would trust their armed forces; at times they trusted in neighboring allies. Their armed forces would fail and their allies would disappoint; they would go into exile, sometimes with their allies, sometimes with their allies suffering humiliation soon afterward. Israel would pay a terrible price to continually re-learn the lesson David absorbed and to which he gave voice in Psalm 18:1-3. Yet in distress and trial, and especially under foreign oppression, Israel did seek refuge in YHWH. His rescue and deliverance was not always dramatic or instantaneous, but somehow the Jewish people persevered despite existential crises in the days of the Persians and Macedonians. We Christians are no less tempted than Israel to look for strength and refuge in other places than in God. We are tempted to look to government or political figures or culture; we are tempted to rely on the prosperity we have gained; we are tempted to follow in our own paths and fulfill what we imagine to be our individual destinies. We are tempted to look at God the way people in culture often do, as the last minute emergency 911, the One to whom we turn after we have exhausted every other avenue. Sometimes these places of strength and refuge seem to hold up. Yet we should not be deceived; none of them can save or rescue. The government, political figures, and culture will fail and perhaps even turn on us. All of our prosperity can be wiped out by terrible circumstances. We can persevere in our own strength for a time, but it will fail us as well. If these things are our strength and refuge we will grow cynical, despondent, and distressed, for according to human logic and worldly wisdom their chances of providing resounding success are slim to none. We will be afraid, exposed, and we will find only profound disappointment. We do well to learn David’s lessons before circumstances force them upon us as they did Israel. No army or government will be able to provide refuge and to be a strong tower as YHWH is. No ideology or worldview can be a horn of salvation as YHWH is. No earthly prosperity or self-help philosophy will be able to serve as our shield as YHWH does. To build upon any of these is to build on sand; we do well to seek the Rock. We must love YHWH. We must find our strength and refuge in Him, for His purposes alone will endure for eternity. It may take many repetitions and constant meditation, but we must absorb the lesson of Psalm 18:1-3 in a profound and deep way. Only YHWH can be our Rock, shield, and refuge. All others will fail and disappoint. Only in YHWH can we find joy and hope, for only YHWH can rescue and deliver. May we call upon YHWH who is worthy to be praised, and through His Son Jesus Christ be rescued and delivered from sin and death! I will sing of the lovingkindness of YHWH for ever / with my mouth will I make known thy faithfulness to all generations. ‘Thy seed will I establish for ever / and build up thy throne to all generations'” (Psalm 89:1-4). Ethan begins his psalm with great praise and confidence in YHWH. He does not end that way. Ethan is famous in Scripture for being wise; not as wise as Solomon, of course, but the comparison shows just how highly Ethan was esteemed (1 Kings 4:31). His wisdom is on full display in the only Psalm ascribed to him. We have every reason to believe Ethan is serious: he proclaims YHWH’s hesed (lovingkindness, covenant loyalty) and His faithfulness to all generations (Psalm 89:1). He builds up mercy and establishes faithfulness in the heavens (Psalm 89:2). Ethan has as similar confidence in YHWH’s promises to David in 2 Samuel 7:11-16: a covenant was made with David and his house, and his kingdom would be established forever (Psalm 89:3-4). So far Ethan has made a clear confession of faith. Ethan would continue by extolling God’s power in and over His creation (Psalm 89:5-14) and His care and provision for His people, particularly David and his descendants (Psalm 89:15-28). Ethan recognized the warnings about the consequences of disobedience, but also maintains confidence that YHWH would still maintain His covenant and be faithful to David (Psalm 89:30-37). But then the psalm takes a sharp and dark turn. Ethan declared that YHWH had cast off, rejected, and been angry with His anointed, demonstrating how YHWH has reversed Himself at every point in terms of His dealings with the offspring of David (Psalm 89:38-45). Ethan wanted to know how long YHWH would be angry with the house of David; Ethan’s life would not be long (Psalm 89:46-47). Where was YHWH’s covenant loyalty which He swore to David (Psalm 89:49)? Such is the question that resounds at the end of the psalm; Ethan concluded by asking the Lord to remember the reproaches which the enemies of the people of God have reproached them and His anointed (Psalm 89:50-51). While Ethan would not dispute Psalm 89:52, it is most likely added by the Psalter as the conclusion of Book III (so also Psalms 41:13, 72:20, 106:48). Psalm 89 is most assuredly a psalm of lament, and yet it does not follow the standard lament pattern. Most psalms of lament set forth the difficulty, challenge, or complaint, and internally move toward a declaration of confidence and faith in YHWH and His covenant loyalty (e.g. Psalms 3, 22). Yet Psalm 88 and Psalm 89 end without that “resolution” of at least a declaration of faith; they leave us with their cry unanswered. In many ways the Psalter “answers” their concerns in Book IV (Psalms 90-106) by testifying to God’s faithfulness over time. We can “answer” Ethan’s question in terms of Jesus of Nazareth who received the throne of His father David, has reigned for two thousand years, and continues to reign (Luke 1:31-33, Matthew 28:18-20, Revelation 5:9-14). But Ethan does not know that, or at least he is giving voice to people who do not know that. He knows what God promised David; from 586 BCE until the days of Jesus in the first century CE one could well ask where YHWH’s covenant loyalty to David and his offspring had gone. He perishes long before the promise is fulfilled. It is important for us moderns to note the ground upon which Ethan makes his complaint. Many people today, after all, have all kinds of questions, challenges, and complaints for God. Yet today people ask, complain, or demand from a place of doubt; they wonder if God is even there, is a figment of their imagination, or fear He is the god of the Deists who no longer really cares what happens within the closed system he started. Ethan, on the other hand, asked, complained, and questioned from a place of faith. 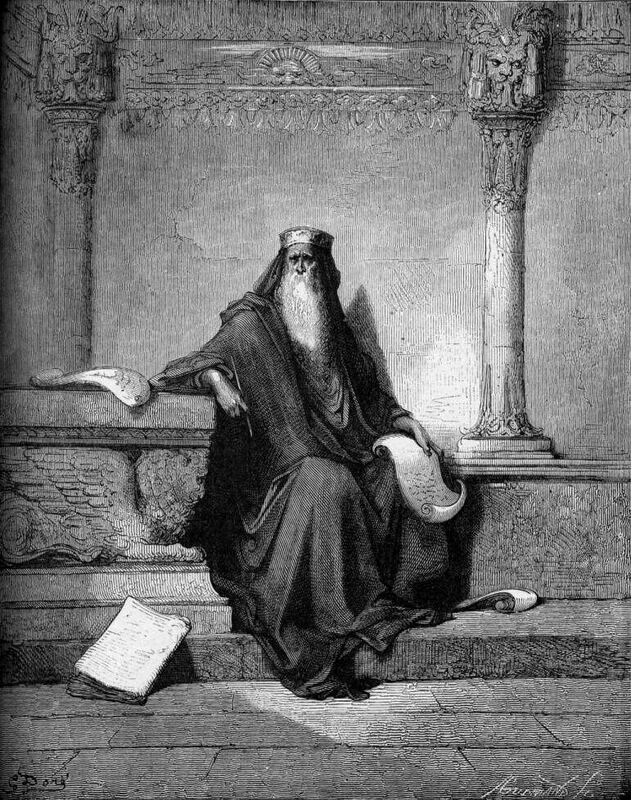 Ethan could not make sense of the condition of Judah and the house of David, not on account of any fears about YHWH’s existence, power, or covenant loyalty, but precisely because he believed firmly and strongly in YHWH as the Creator God of Israel who shows covenant loyalty to His people and proves faithful to His promises. If he did not have such faith he would have no reason to expect anything for the house of David: without God as their protector, Israel could never consistently stand against her adversaries. If YHWH did not care for His people at all, there would be no reason to expect anything less than the devastation of the people. The only way Ethan can really ask God these questions and to air his grievances is because he trusts God and what God has said to His people. There are many reasons why we might think (if we do not prove open, honest, and faithful enough to actually say and ask) about many disconnects between what God has promised and the situation on the ground. We may wonder why the Lord has not yet returned, or why wickedness prospers while righteousness is set at naught, or why we experience trials and tribulations. In such conditions we do well to learn from Ethan; we can only have such complaints if we remain grounded in our belief that there is a God, that He has created us, maintains covenant loyalty, is faithful, and full of mercy. How can we doubt God’s existence while still expecting the kind of life and universe which only God could have created? After all, if God does not exist, or does not care about us, what does “good” or “evil” mean, anyway? Why should we expect “good” to happen to us but not “evil”? Why should anything in life be pleasant, good, positive, and above all, meaningful? By no means! Without God the universe has no purpose or meaning, and neither do we. Good and evil become human categorizations and are unmoored from any standard beyond human conceptions. We can only expect good to happen, for life to have meaning, or that all of this is going somewhere if God is who He says He is in Scripture. We all live with unanswered questions, at least if we are honest with ourselves. Ethan the Ezrahite wrote an inspired psalm that ends with an unanswered question. Yet Psalm 89 begins with a powerful declaration of faith. We will have unanswered questions; can we sing of God’s lovingkindness, covenant loyalty, and faithfulness to all generations as well, and trust despite, or even because of, the questions, difficulties, and trials of life?